It is hardly surprising that Brazil's adoption of the International Financial Reporting Standards (IFRS) under Laws 11.638/07 and 11.941/09 did not mesh perfectly with the Corporations Law (6.404/76). This article discusses the reasons for the incongruity between the accounting rules and local company law. The first reason is that the international accounting model draws more inspiration from common law systems than from Brazil's civil law tradition. Another is the temporal distance between the Corporations Law (although it remains modern in spirit) and the accounting rules, which are constantly evolving. For example, share-based payments are governed by Technical Pronouncement 10 (the national counterpart to IFRS 2), which was issued by the Accounting Pronouncements Committee (CPC). On 16 December 2010 the Securities and Exchange Commission (CVM), Brazil's securities regulator, approved CPC 10 via Resolution 650. Under CPC 10, transactions involving share-based payments, which are widely used by Brazilian companies in the form of stock options, must be measured at the fair value of the shares granted using the mathematic models available for this purpose. The transactions must be recorded as expense at the fair value of the shares, proving, once again, that there is no such thing as a free lunch. The counterpart to the expense entry is an increase in equity (if the transaction will be settled in equity instruments – for example, shares). Although the grant of stock options does not involve a disbursement of cash, the recognition of the fair value of the stock option as an expense is justified to the extent that it evidences the fact that the grant of the option, and subsequent issue of shares (or delivery of treasury shares) when the option is exercised, results in a reduction of the income that can be distributed to shareholders. The question that arises is how the counterpart to these expenses should be recorded, since they do not have a financial effect. The international standard provides that the counterpart is an equity credit, but this procedure is inconsistent with Brazil's Corporations Law. The problem is that because of the mandatory dividends provided for under Article 178 of the Corporations Law, only specific entries can be recorded under equity, and those specific entries do not include counterparts to debited expenses made in order to grant stock options. In view of the exhaustive list of equity accounts, the CPC had to improvise. It created a new special account, which is inserted alongside capital reserve accounts without actually constituting a capital reserve. In fact, this new account cannot be a capital reserve, because there is no provision in the legislation for such an account, and Article 182 of the Corporations Law limits the accounts that can be considered capital reserves. In any event, credit entries made as counterparts to share-based payment expenses are substantially different in nature compared with the asset transfers that constitute capital reserves, which are unrelated to a company's operations. issue shares under the options granted. The CPC has not yet provided answers to these questions. In the meantime, companies will have to address these issues on a case-by-case basis. For further information on this topic please contact Paulo Cezar Aragão at BMA Barbosa Müssnich Aragão by telephone (+55 21 3824 5800) or email (pca@bmalaw.com.br). 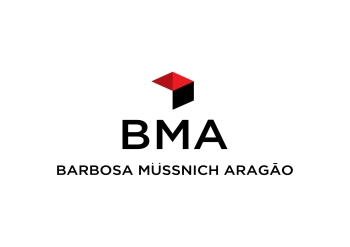 The BMA Barbosa Müssnich Aragão website can be accessed at www.bmalaw.com.br. Daniela Soares, a former partner at BMA Barbosa Müssnich Aragão, assisted in the preparation of this article.